Marrakech is the most fascinating city in Morocco. It is known as the “Jewel of the South” with a great combination of old and new. Laying low and dominating the Haouz Plain at the foot of beautiful snowcapped High Atlas Mountains, Marrakech boasts luxury hotels, the Agdal Gardens’ vast orchard, the Menara Garden’s tranquil olive groves and lagoon, bustling bazaars, mansions and hidden palaces amongst the mysterious labyrinthine medina. 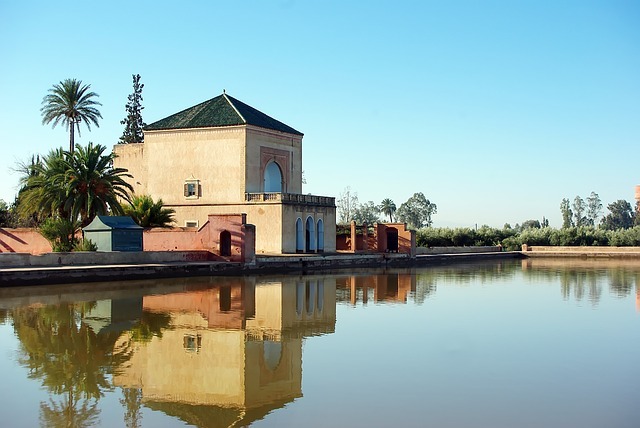 Marrakech is thus one of the fairy tale destinations that you should plan on visiting someday. Paxos is a lovely little Greek Island located about an hour south of Corfu. The west cost of the island has steep limestone cliffs and caves. There are few small beautiful villages in the island, surrounded by wonderful nature and exciting ancient architectural wonders. The views of the villages and its nature make it one of the fairy tale places you can afford to visit. Tuscany is a vast region in Italy with superb natural beauty. The landscapes in Tuscany are unparalleled. The nature in Tuscany constitutes rolling hills, olive groves and cypress trees. Spending some days in a luxury Italian villa in wonderful natural landscapes can be a fairy tale experience of a lifetime. Some of the medieval towns in Tuscany are no less beautiful than its wonderful nature surrounding. The Greek Island of Santorini is often regarded as the most beautiful island destination in the world. Santorini boasts of stunning 360-degree views, colorful small villages, a couple of beautiful beaches, spectacular sunsets, world-class accommodations, and great reputation for its food and drinks. The architectural beauty of Santorini is unique with lots of white color small houses and cathedrals in its beautiful villages like Oia and Fira. Santorini is a perfect destination for family travel and honeymoon. You can expect to get surprised beholding the beauty of this Greek Island. The Cinque Terre is the name for five beautiful fishing villages located on the rugged portion of the Italian Riviera. These wonderful small villages are known for the nature and colors of the houses and buildings. It was declared a UNESCO World Heritage Site in 1997. Modern vehicles are banned in this part of the world, making it a serene location to spend some relaxing days of your life.